An Ebola outbreak has been declared in the Democratic Republic of the Congo (DRC), where three people have been confirmed dead and another six are suspected to be infected with the virus. This is reported by The Guardian citing the World Health Organization's statement. The virus suddenly occurred in the equatorial forest region of Bas-Uele province, which borders the Central African Republic. 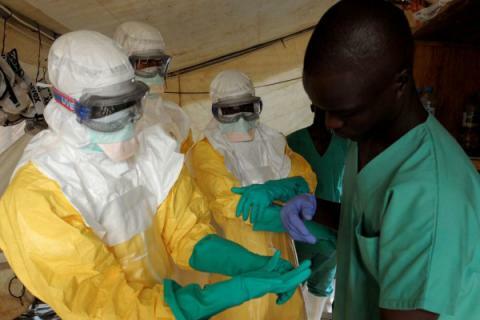 In a televised address, DRC’s health minister, Oly Ilunga Kalenga, warned that the outbreak was a “national health emergency with international significance” but urged people “not to panic”. The WHO’s in-country spokesperson, Eugene Kabambi, said regional health workers and protective equipment had already been rolled out to the remote area to contain the virus. A national team of personnel, along with experts and specialists from Médecins Sans Frontières, the US Centre for Disease Control, Unicef and WHO, will be following in the next few days. Ebola is fatal in about 90% of cases and is easily spread between humans through direct contact. » Ebola Returns To Liberia: Could It Spread?